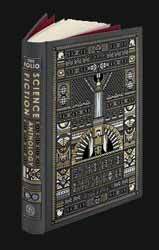 It is never going to be easy to collect together a series of science fiction short stories which will please everybody, but if anyone can it's Brian Aldiss, a famous science fiction writer in his own right, as well as editor of over forty other anthologies. 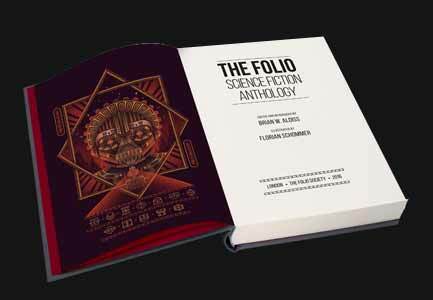 The Folio Science Fiction Anthology (2016. 272 Pages) continues the Folio Societies mission to create books which not only have intrinsic importance as works of art, but to also present them in the best way possible, making them desirable not only for their content but also as objects in their own right. Aldiss as well as providing a short story of his own provides a brief preface, as well as introductions to each of the stories, these are often anecdotes involving Aldiss’s interaction with their authors. These illustrate that the stories were chosen not only for their own personal merit, but also for their personal connection to Aldiss. Many of the authors stand as colossus of the genre, but like any good anthology there will be stories which you have somehow missed, some new delight for you to read.